Meet Emma! 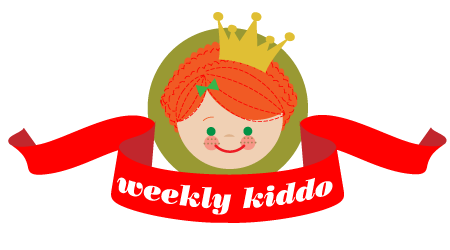 Our Weekly Kiddo! Hello everyone and HAPPPPY FRIDAY! 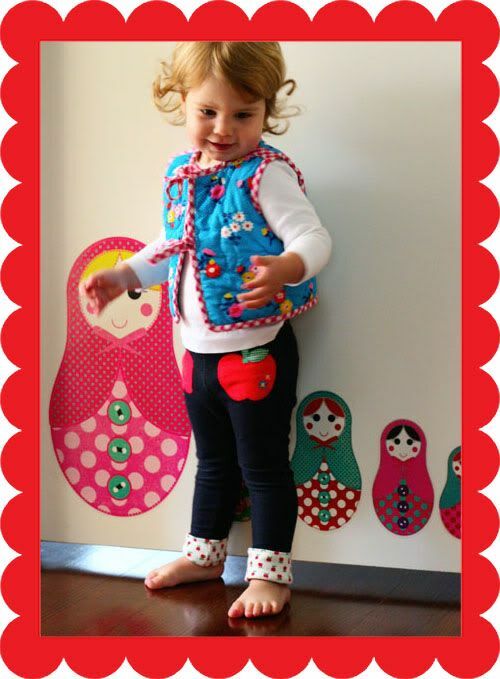 This week our Weekly Kiddo hails from the land down under….meet the marvelous Miss Emma! This child has style for days. I love that her mum manages to make Emma’s wardrobe the two things that are always my mantra: CUTE and COMFY! I shouldn’t be surprised, really, Emma’s mommy Cintia runs My Poppet, a really fabulous online shop…but let’s cut to the chase, shall we? Because this beautiful little girl is too adorable to be kept waiting! OK. This outfit KEEEELS me. The gingham trim on that SUPER cute vest? 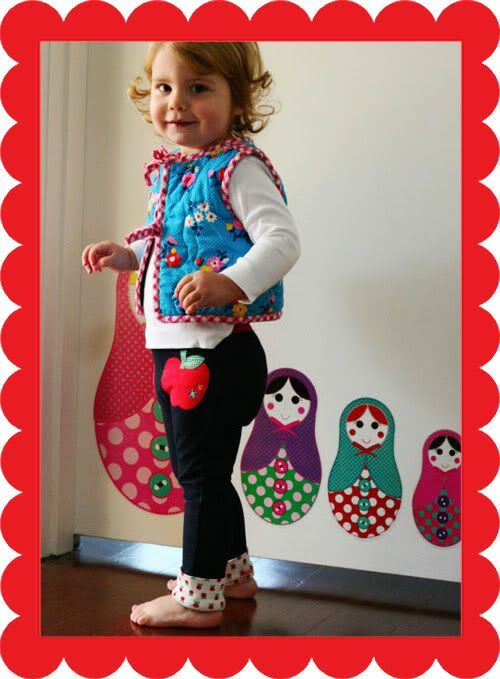 The little apple leggings?? Love it all. And of course sweet Emma’s smile. As sweet as she looks, Emma is a bit of a tomboy at heart and loves heavy machinery like tractors and trains but will occasionally play tea parties with mummy and her dollies. Sometimes Emma gets into trouble at the park when trying to commandeer other kids bikes, she doesn’t know it yet but she will be getting her own bike when she turns two. Shhh! It’s a secret! She also loves dancing and laughing (which is why Cinti sent me this cute little video of her!). Believe it or not, this cosmopolitan child’s favourite foods are sushi and Chinese dumplings, but she will practically eat anything if you tell her it’s sushi. Emma! Can you please come and give Wolfie proper eating lessons??? 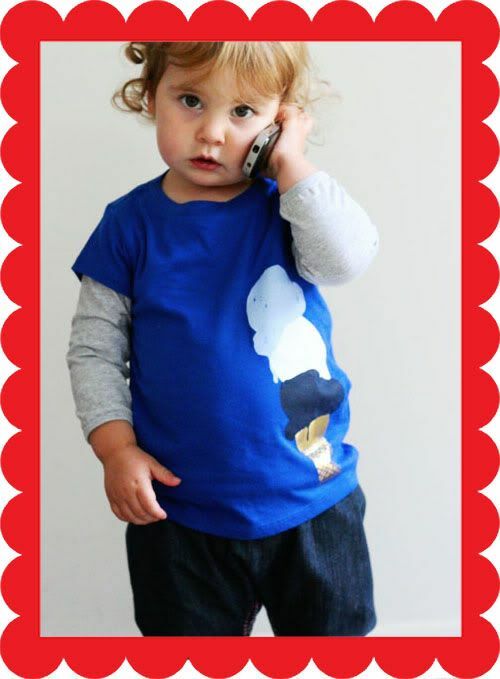 Thank you so much Cintia for sharing this lovely child with us! She is such a lovely little doll! 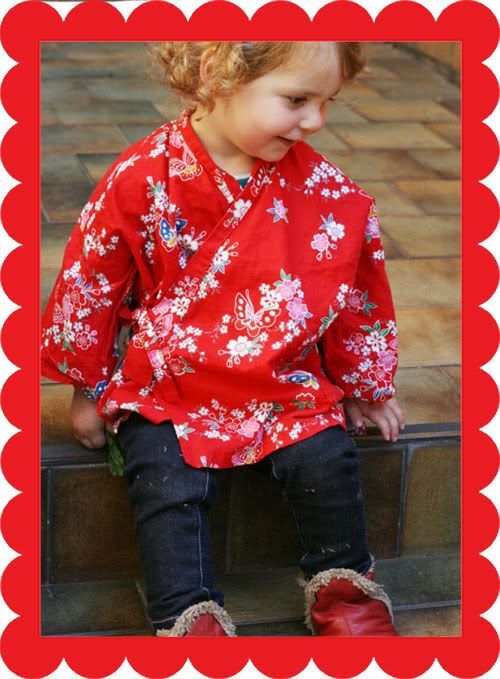 Tagged with cool kids from australia, My Rocking Wardrobe, mypoppet blog. i’m jealous, what a great wardrobe! i reeeally love those apple pants. heaps. now this is impossible to pick a fave look here,,comfortably adorable all pretty. my goodness, WHAT A DOLL!!!!!! 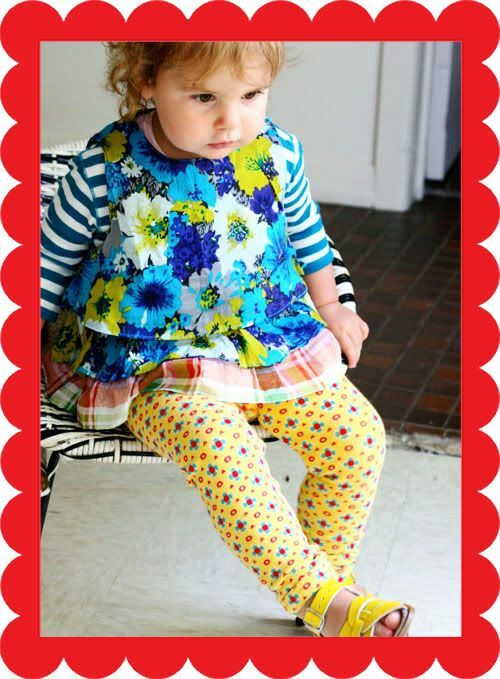 love all the patterns and colors, her mama dresses her with style!!!!!! I think she’s the cutes kiddo ever, but i am a little bit biased . lol! 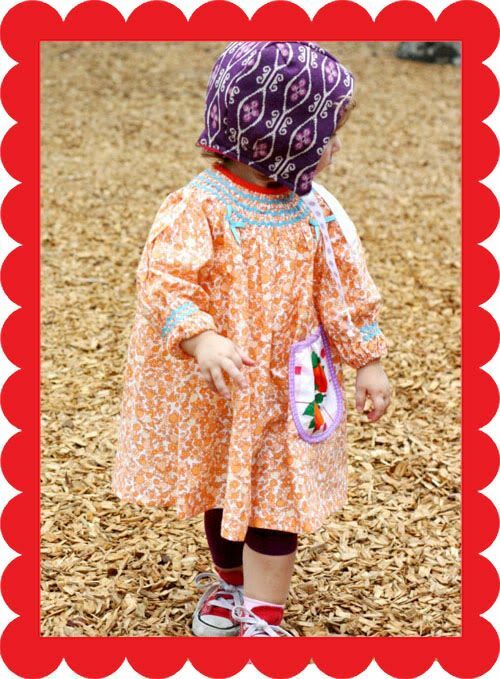 I’m so ga ga over this kid (and Mama’s) style! In fact, it has inspired me to buy that Rocking Wardrobe’s orange print dressie! 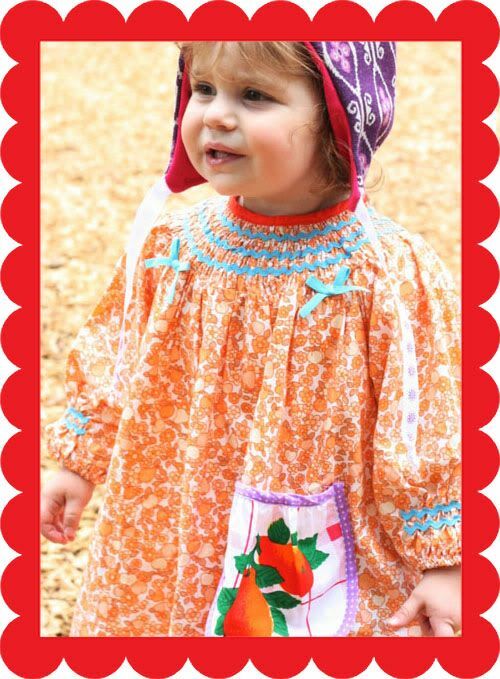 Emma is such a little cutie patootie and I bet quite the little character to boot!